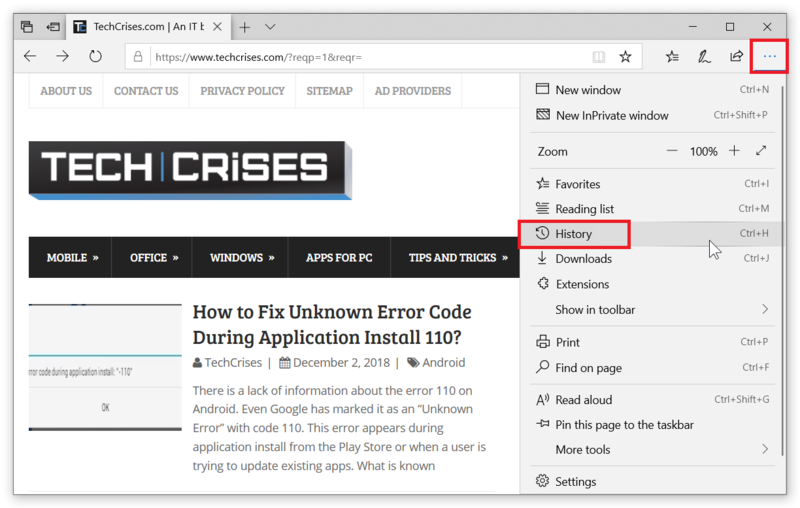 Home / How To / How to Delete History in Microsoft Edge? In case you don’t know how to delete your browsing history, sooner or later you will want to browse something confidential. And if for some unknown reason you forgot to turn on InPrivate mode, you can simply delete history in Microsoft Edge and clear Microsoft Edge cache in order not to bother explaining it to someone. 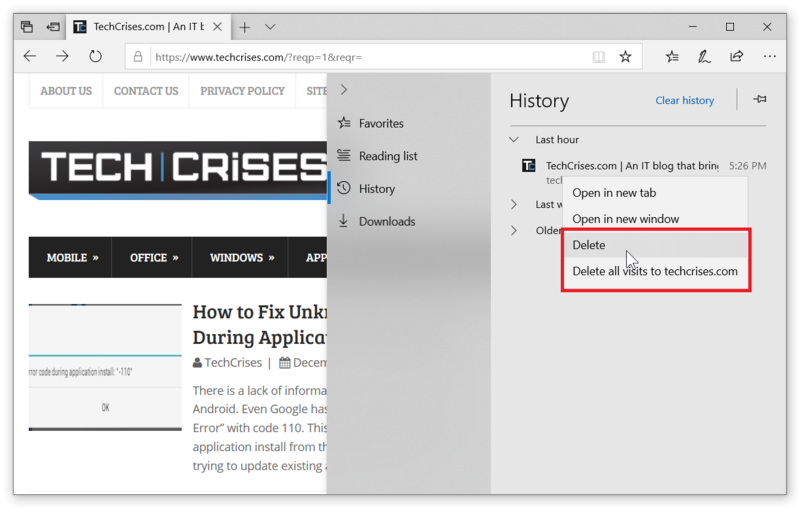 Deleting history in Microsoft Edge is a very simple and basic procedure, that requires only a couple of taps or clicks and you are done. 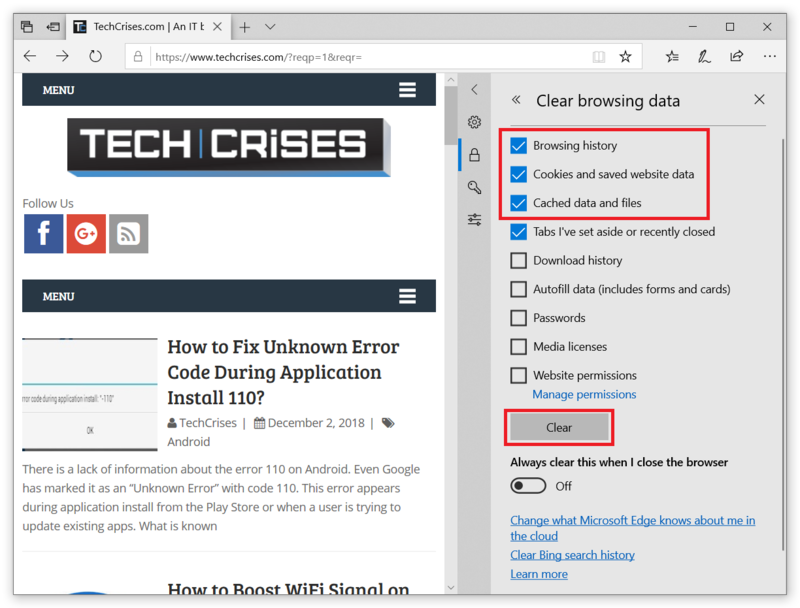 This browser is quite new comparing to the Chrome or Firefox, thus not everyone knows how to delete history in Microsoft Edge. We are here to help you. Here is where you need to look at if you want to get rid of something in your browser history. There are few ways to open history in Microsoft Edge. First: click the button with the star and three lines in the top right corner. This button opens some kind of hub with everything you need, like history, downloads, reading list, and favorites. Second: click three dots below the close button and select History. There is no need to nuke everything inside the history of your browser (although there is a way to wipe everything at once). Right-click the site you want to delete from history in Microsoft Edge and select Delete. Clicking Delete all visits wipes selected website entirely from the history of all the time but keeps everything else. Very convenient feature. As you see, you can delete entries separately, but there is a way to delete history by selecting periods of time. Hover your cursor over the period sign and cross button will appear. Click it and Microsoft Edge will delete history for the selected period. That’s easy. If you want to delete everything at once, press Clear history or open three dots menu, select Settings and navigate to the Privacy & Security section. Then select Choose what to clear. You will see another menu with a list of browser content, like history, cookies, download history and everything else. This menu also allows you to clear Microsoft Edge cache. Clearing cache sometimes is required to fix some compatibility problems or in order to get rid of annoying bug which appeared on a website. Checkmark all you want to delete and press Clear. This will clear Microsoft Edge cache, history, downloads and anything else you have selected. Tip. Below the clear button you can see the additional toggle. 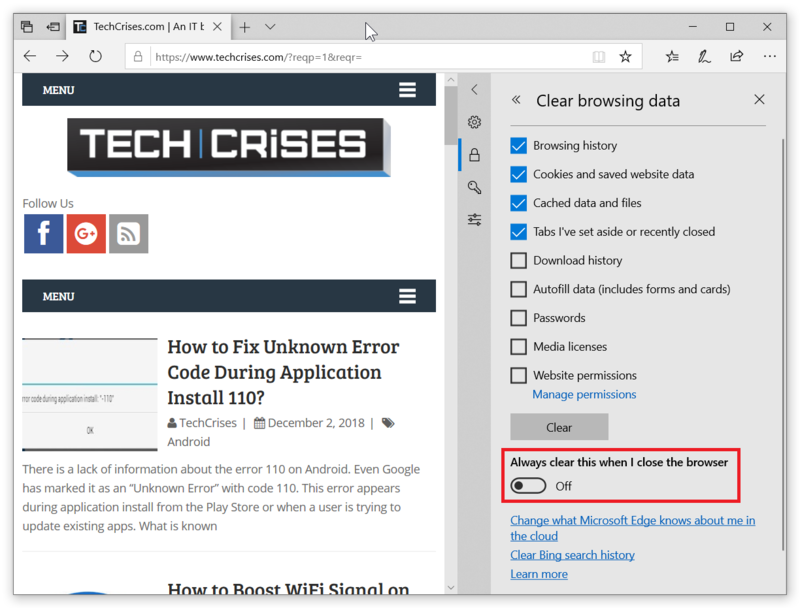 It is responsible for wiping all traces of your browsing every time you close Microsoft Edge. It is very convenient feature f for some reason you do not want to use InPrivate mode or manually delete history in Microsoft Edge. Turn it on and the browser will take care of that nasty stuff you have been looking for on the ravines of the Internet. And yes, maybe next time better use InPrivate mode instead.